Using the intuitive pattern sequencer and large selection of onboard sounds, youre able to create and perform sophisticated music with only the JD-Xi. The sequencer offers four separate trackstwo digital synth parts, analog synth, and drumsallowing you to build rich-sounding loops for any genre. Real-time and step recording modes are provided, along with a special TR-REC mode for programming in the style of Rolands classic TR-series beatboxes. Its easy to play patterns and tweak sounds as you perform, and many preset patterns are built in for jamming right out of the box. Tones: Digital Synth Tone (SuperNATURAL Synth); Analog Synth Tone; PCM Drum Kit *For an analog synth tone, the oscillator, sub-oscillator, and filter sections consist of analog circuits. *Weight is excluding AC Adaptor. You'll be trying sell your's within a month. Display is too dark' 2.keyboard is too shiny and hard to see control names. 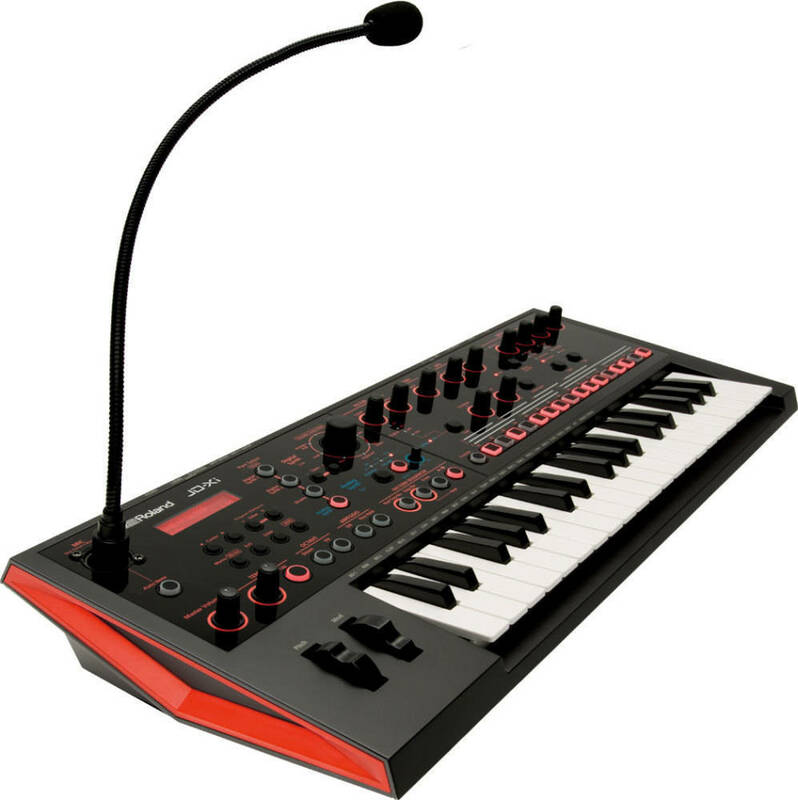 3.vocoder is next to useless and mic is cheap quality 4. not worth $700+tax with mini keys. Upgraded the stock patches with Ultimate Patches for JD-Xi and this thing ROCKS now! Ok. First things first. I love this synth, a lot. I've had it over a year now and filled up half of the 256 user song banks with full songs and sketches for multiple albums. If you can tolerate menu diving, it has some solid synthesis options. The filter is pretty steppy, and makes it hard to get your parameters just right when you find a perfect sound, but you can usually work around it. Getting this synth saved me from having to buy a separate drum machine and other synths just to be able to build songs. Between this and my 404sx sampler, I have an entire band going. The sequencer is really solid, and ideas just flow into it. The reverb and delay are solid, and you can use the flange as a chorus if you set the feedback to 0, but most of the other effects sound a bit cheap. I mean, they're all built in anyway. You're still saving tons of money on this thing. But. About 8 months into owning it a key broke. A month later another one broke, and I am getting a weird glitch where the synths get super super quiet, and I'm going to have to take it in for repairs. Some of the other keys feel loose, and I bet they're going to break too. Folks on a synth forum posted pictures of one of these taken apart, and it's held together with the cheapest plastic possible. Many others had broken keys within a year of purchase. I played mine almost every day until it got to the point of being too broken to be fun without repairs. I'd say get it, but make sure you keep your receipt so you can get it fixed under warranty. Because you may well have to if you use it a lot. I don't have my original receipt and I'm pretty upset with Roland Support. They don't answer your questions directly and it's hard to get help when something goes wrong. That said, I'm willing to spend the couple hundred dollars on repairs because I love it that much. This was my introduction to getting synths and now I spend all my freakin time going to Long and McQuade playing things I can't afford, watching gear reviews online, and I am totally hooked. Thanks to this little thing. It has... complicated my life. Really good for a beginner. I've tried going back to using VSTs in Ableton and they all sound like GARBAGE now that I have a real synth. But also... there are a lot of fancier synths out there too. Still, most of them don't have the sequencer and pattern capabilities that this thing has, except for workstations, which almost always sound like the synths used on 90's TV shows. Did I mention that the final bass patch in the JD-Xi is the same Roland Slap bass used on the Seinfeld theme? K. Whatever. Have fun. Try it out before you get it. What a whopping package deal - super tweakable fat drum machine, 2 64 voice polysynths based on the Jupiter 80 engine, and an analog monosynth. And vocoder. And arpeggiator. And sequencer. etc. Wipes out all other similar sized competitors. This is Roland deciding to take the market by storm after 29 years of being out of the analog synth game. The 2 included digital synths sound exactly like analog - Roland is back in the game! Amazing sound quality and features. I'm making whole songs with this sucker. But this is the 4th time I've posted this review and they keep deleting it!! 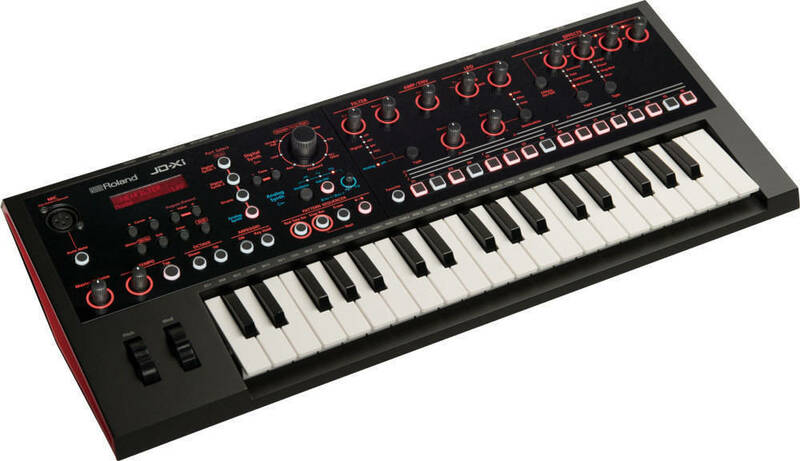 This is the best new affordable digital synth on the market. Jupiter 80 engine inside for the most part - plus a voice of true analog and a killer drum machine etc. Best sounding VA out there - really smooth and sweet like analog. And the drum machine, sequencer, and arpeggiator are awesome. Blows away MiniNova, MicroKorg, Gaia in sounds quality. This synth is often totally indistinguishable from vintage analogs. Roland has really raised the bar. Plus the sweet analog monosynth included, and the fat vintage vocoder etc etc etc. Best Roland synth EVER for quality sound, features and price.